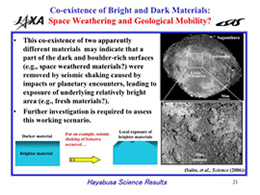 The special issue (on June 2) of the journal Science has been published for the Japanese planetary exploration for the first time. 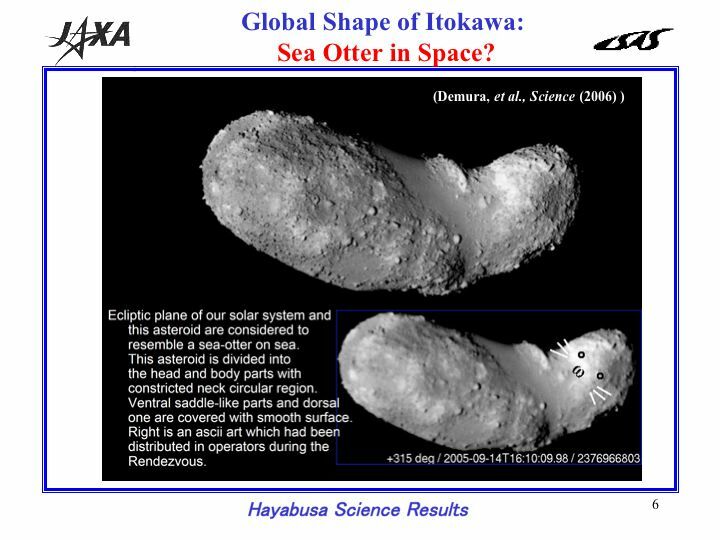 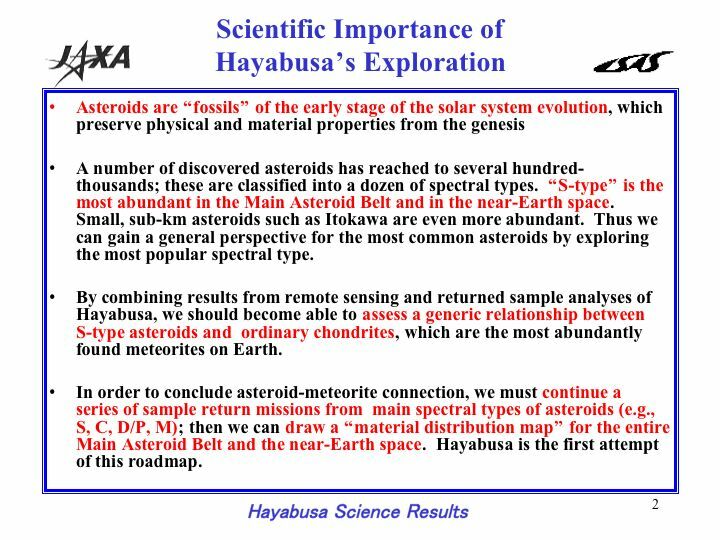 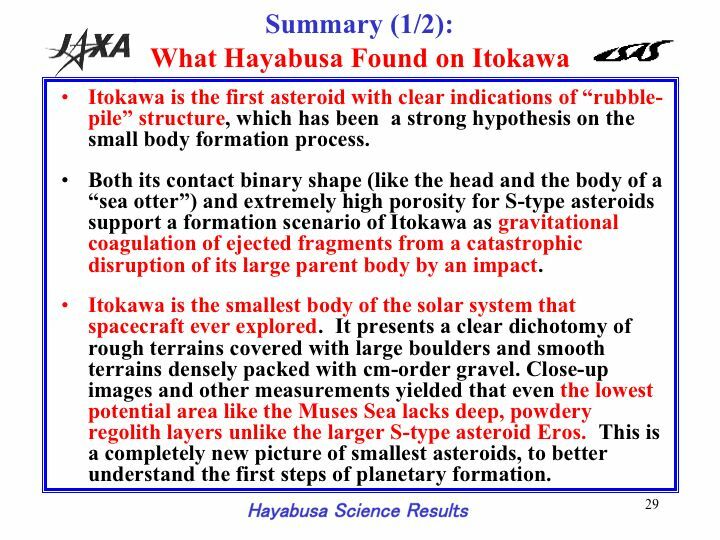 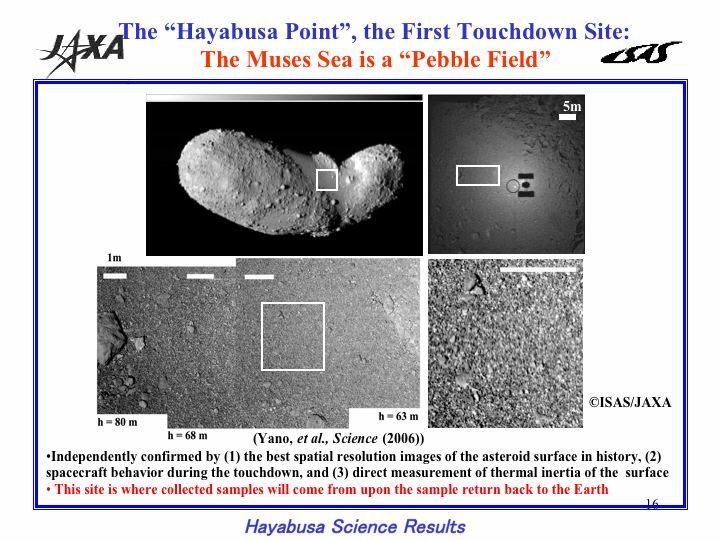 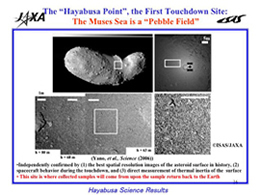 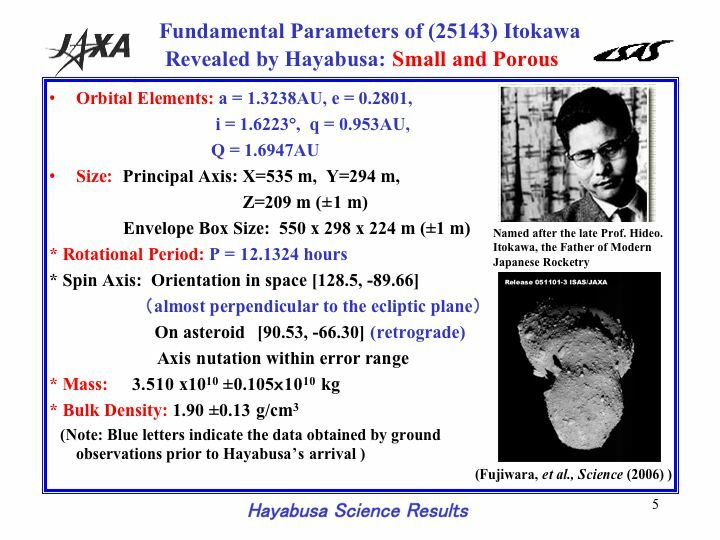 Asteroid explorer Hayabusa observed asteroid Itokawa from the middle of September to the end of November last year. 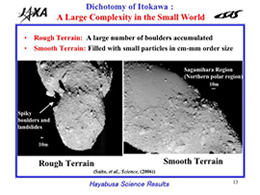 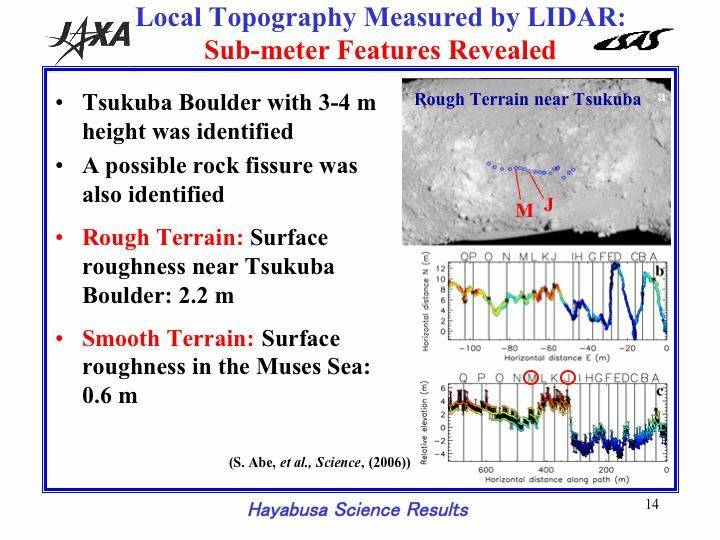 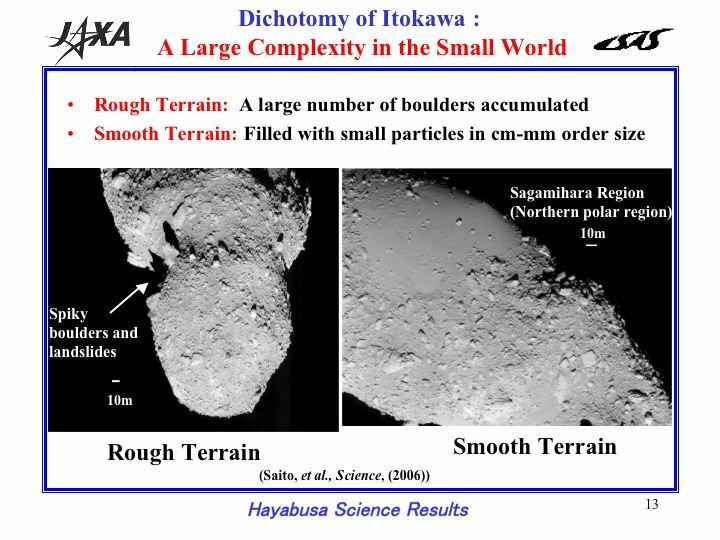 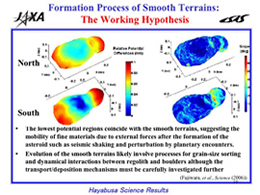 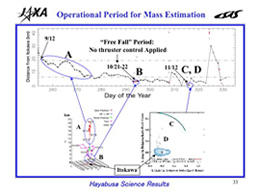 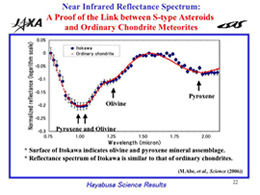 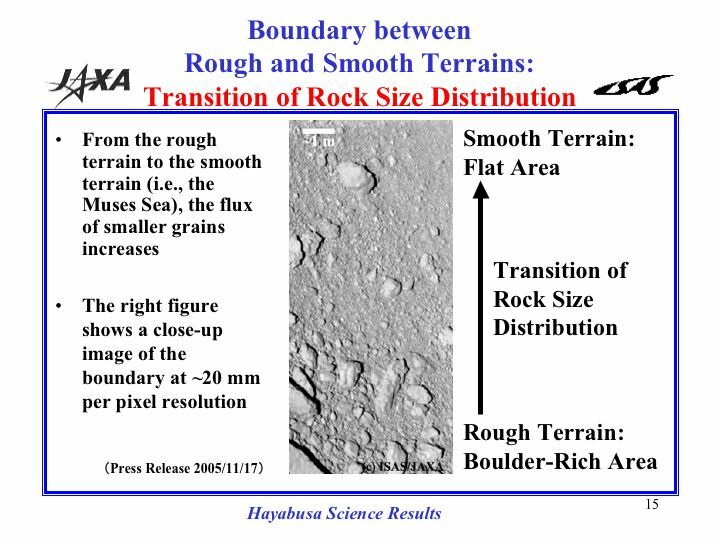 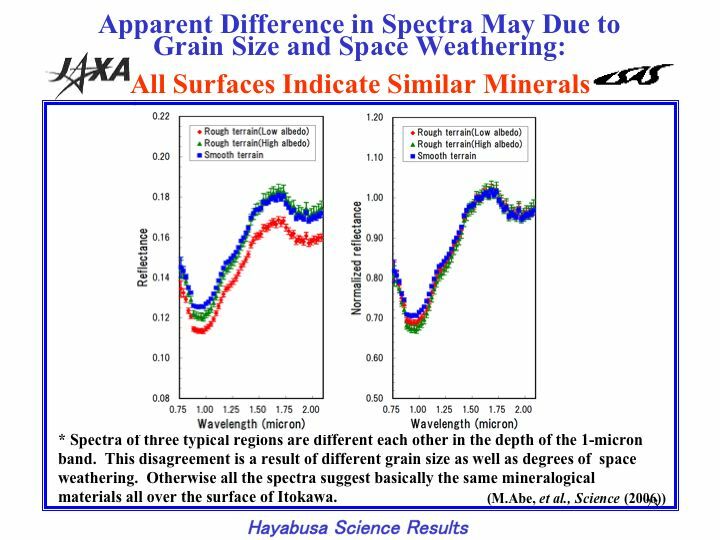 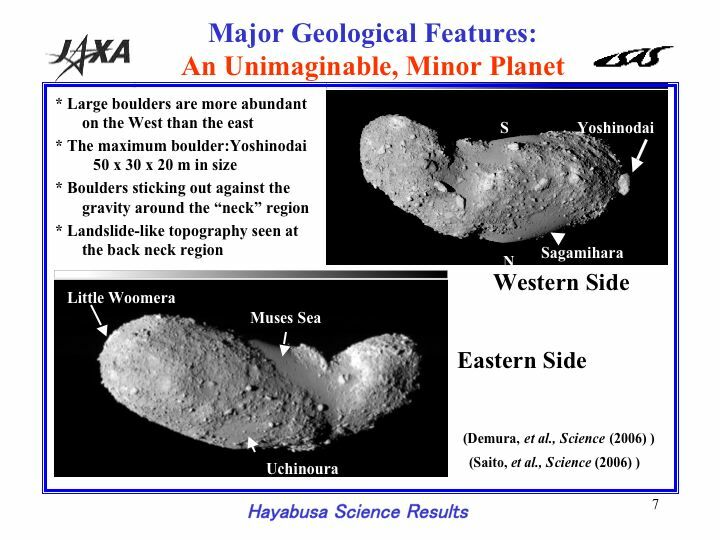 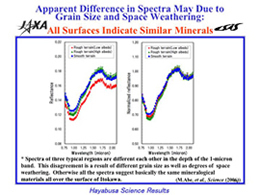 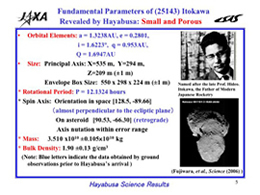 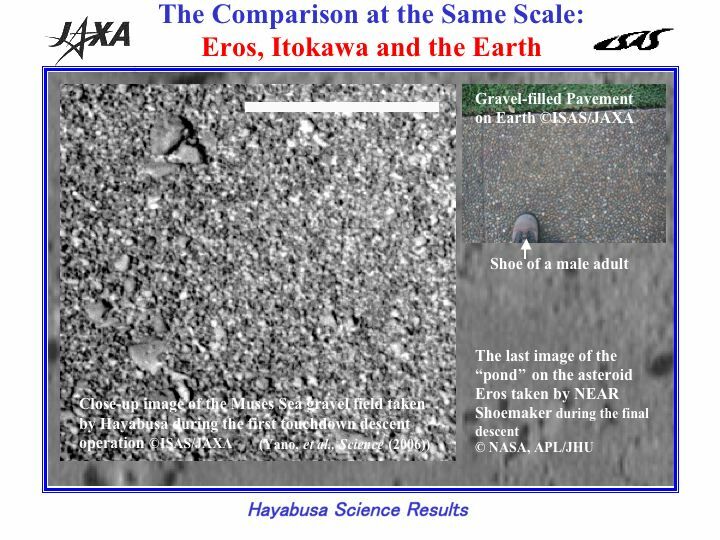 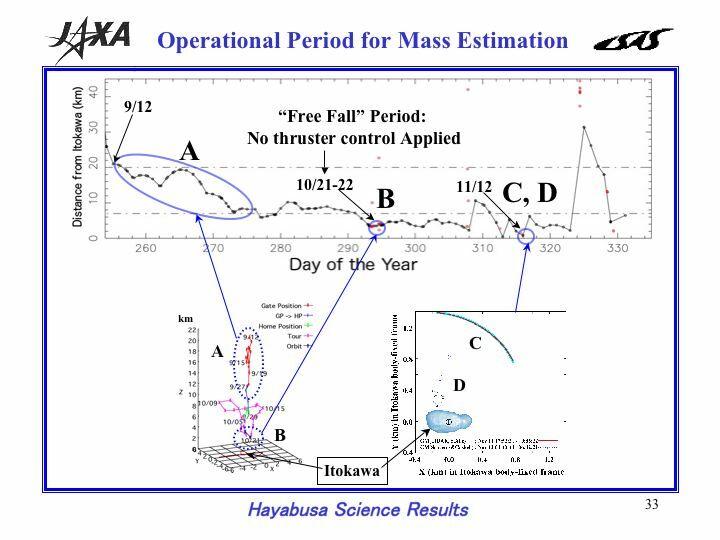 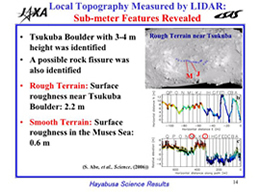 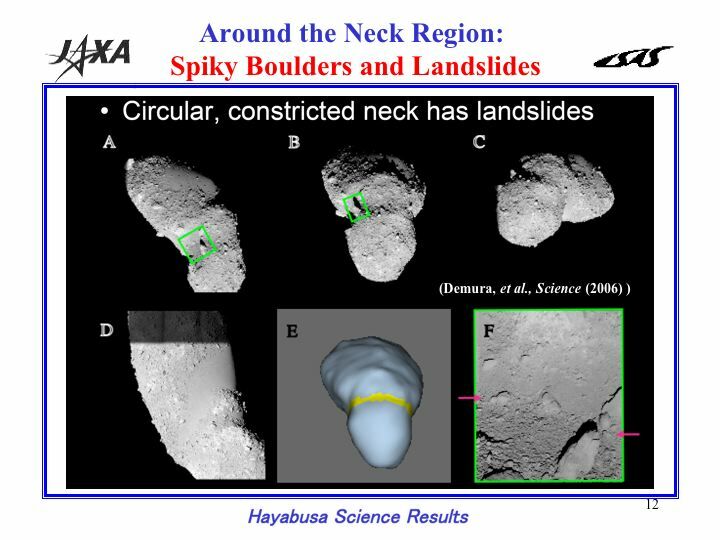 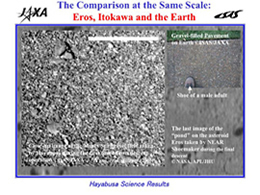 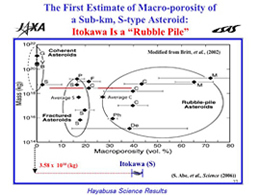 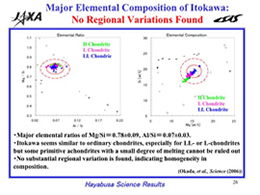 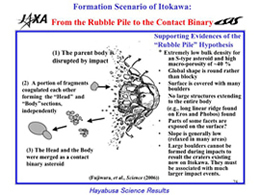 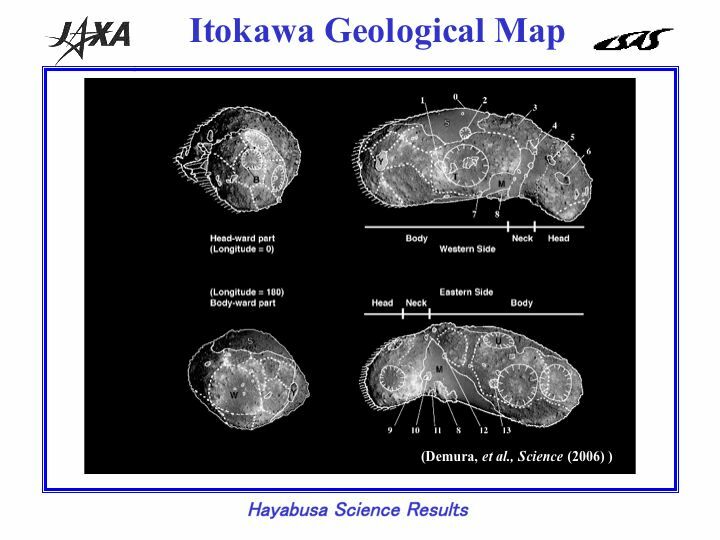 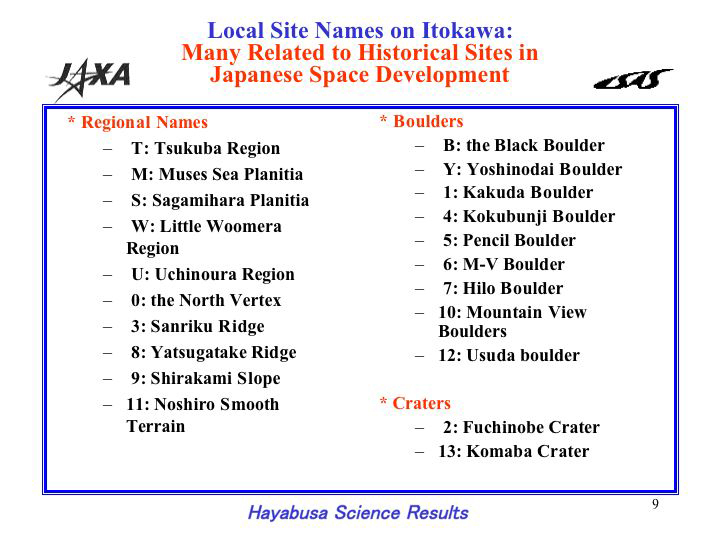 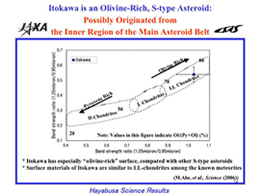 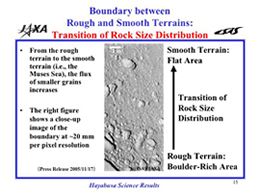 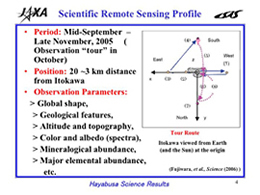 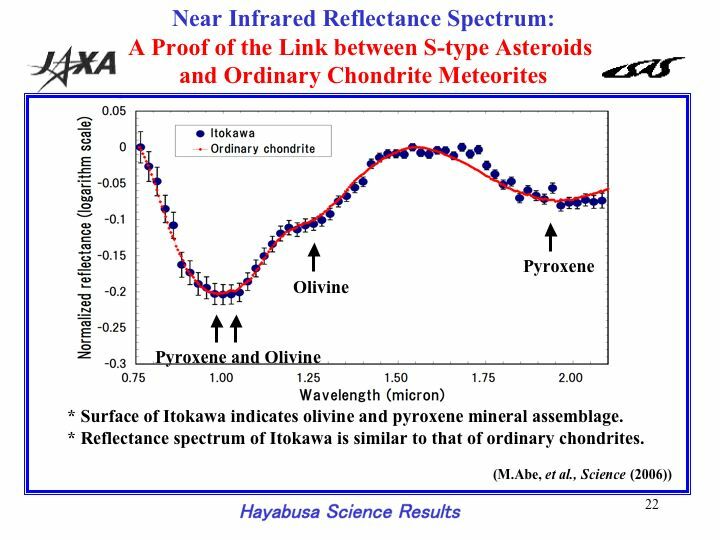 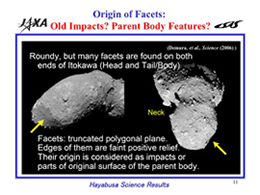 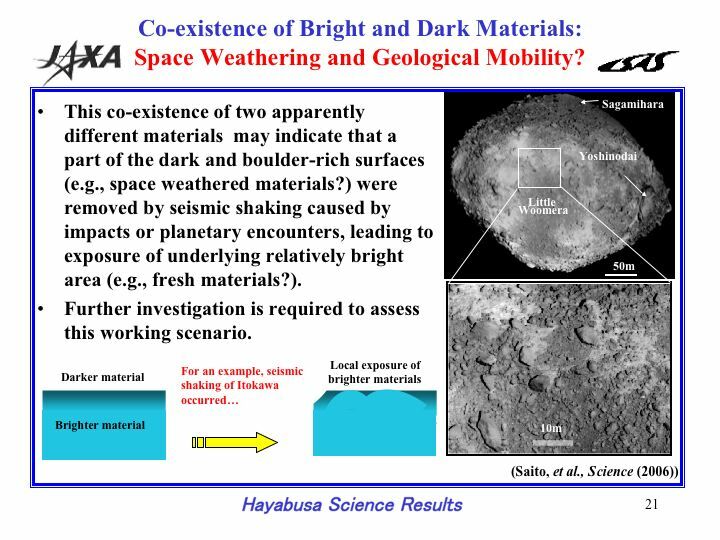 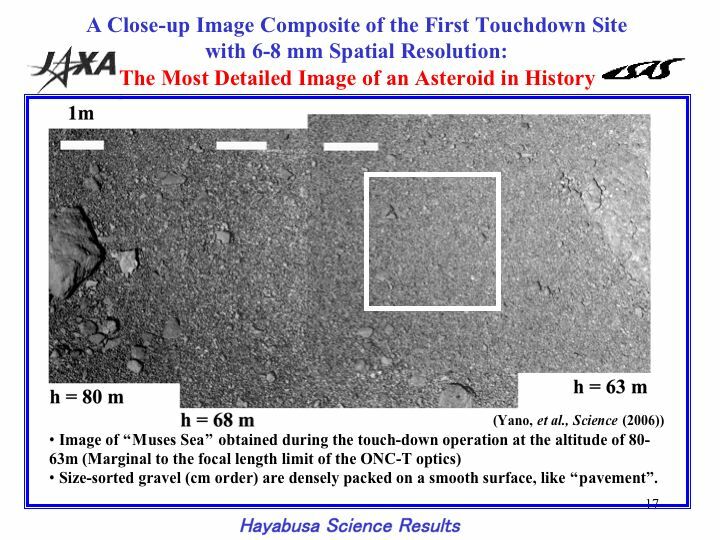 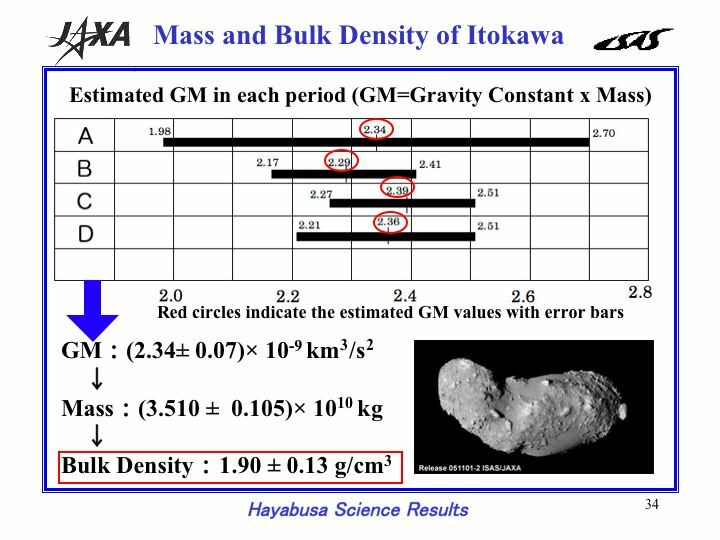 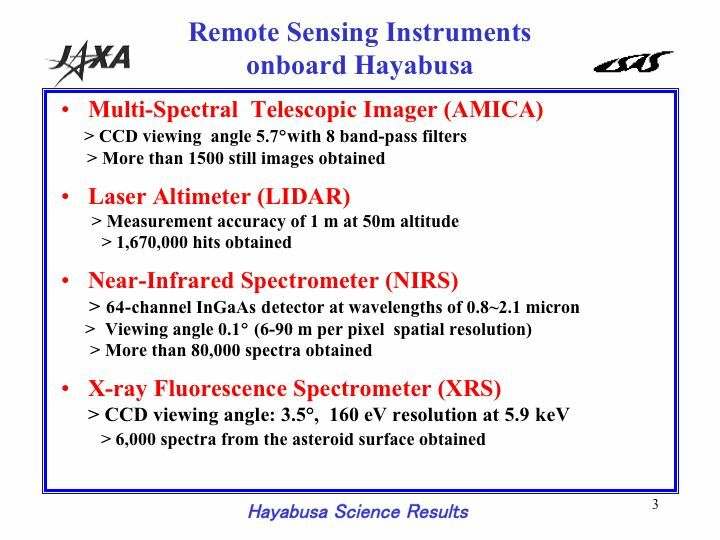 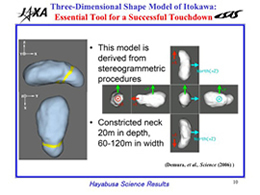 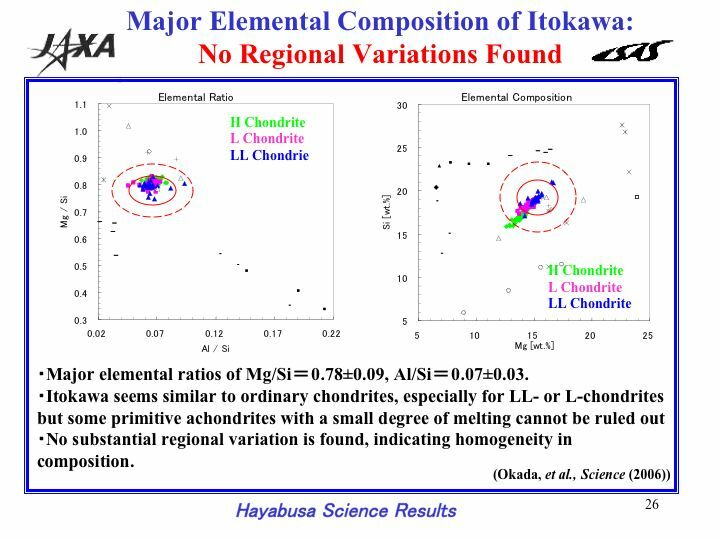 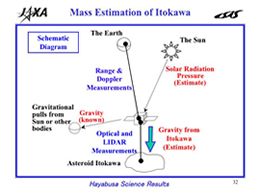 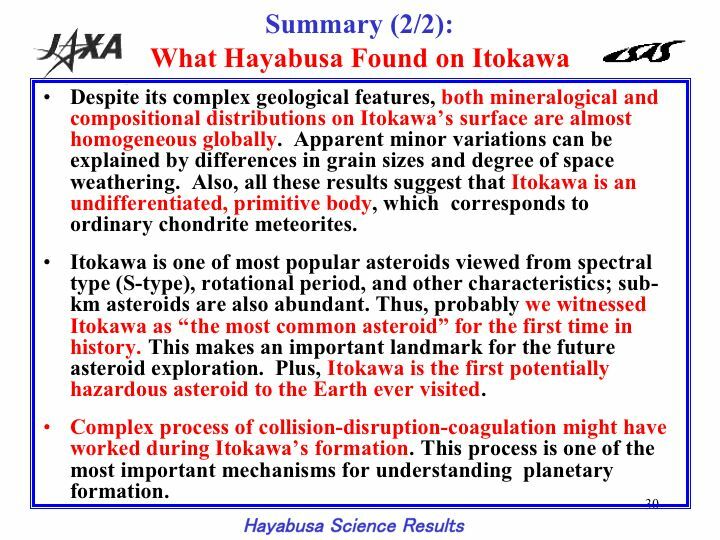 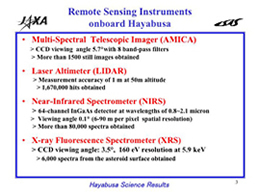 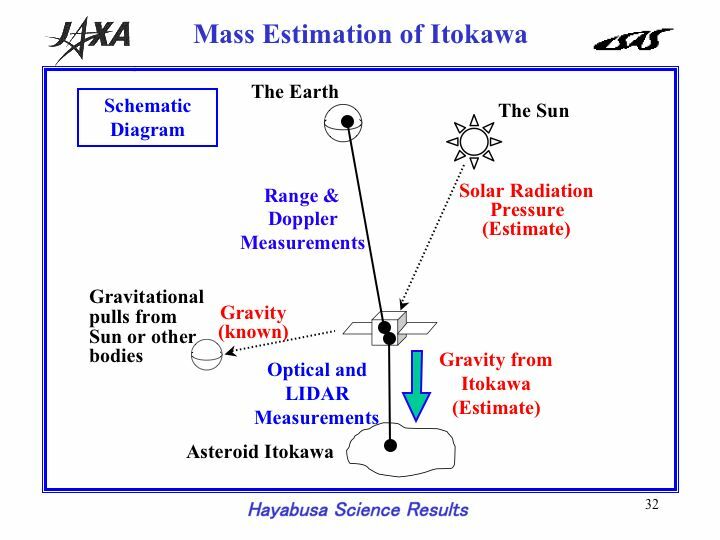 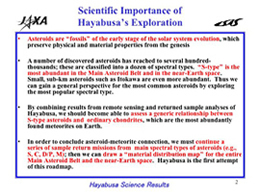 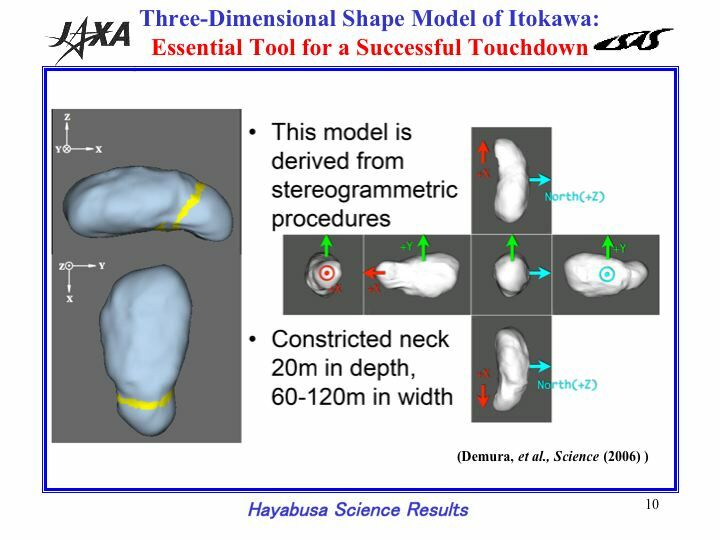 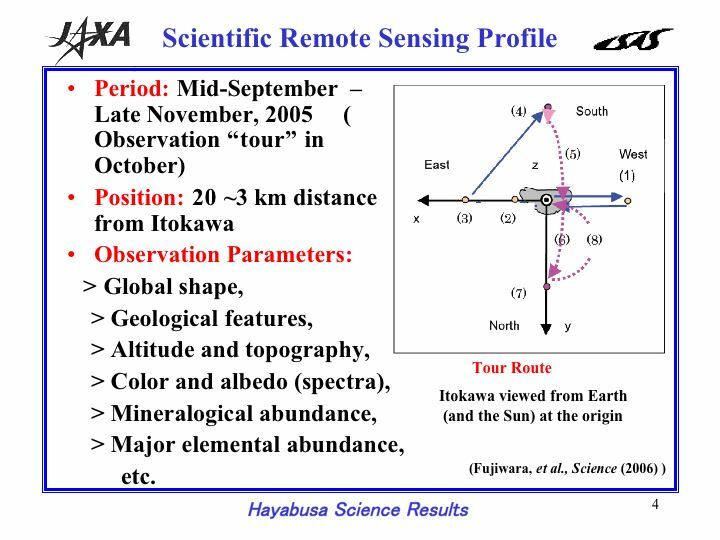 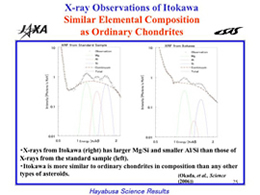 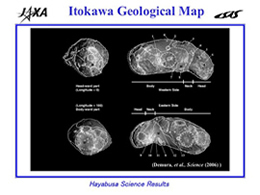 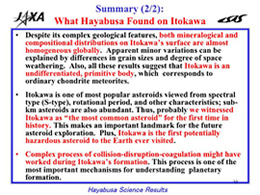 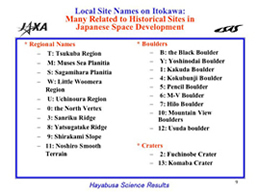 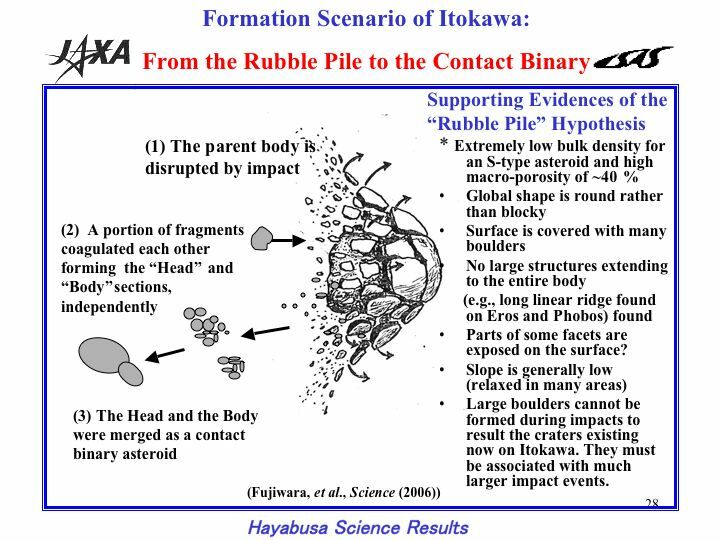 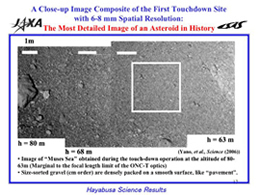 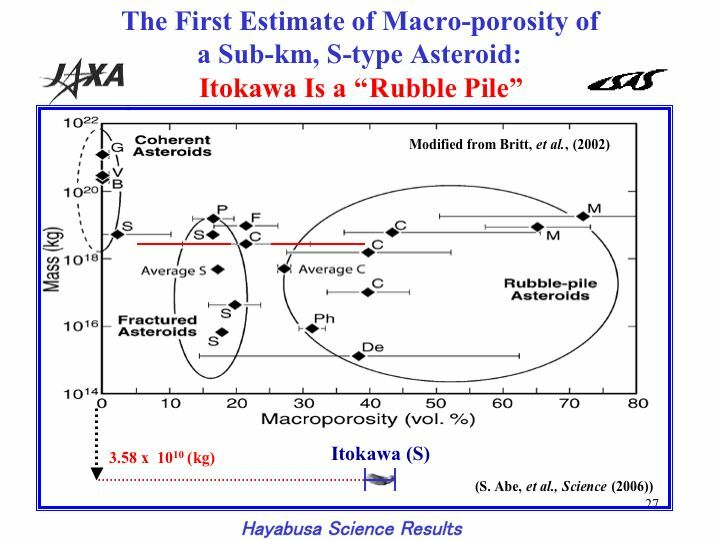 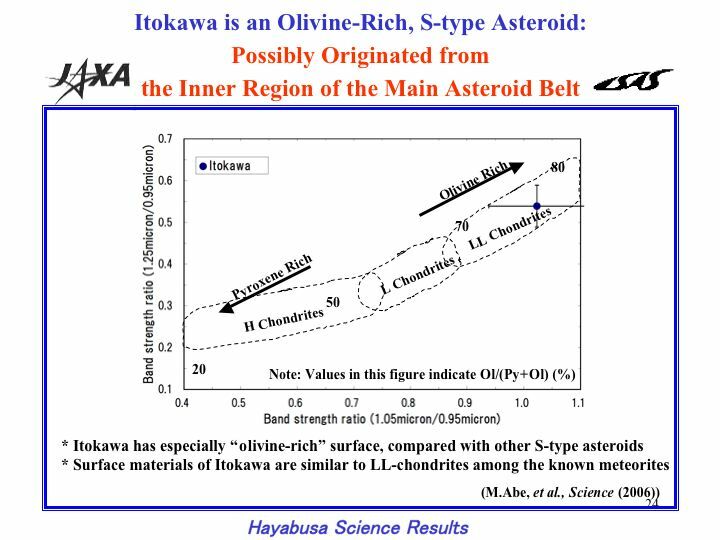 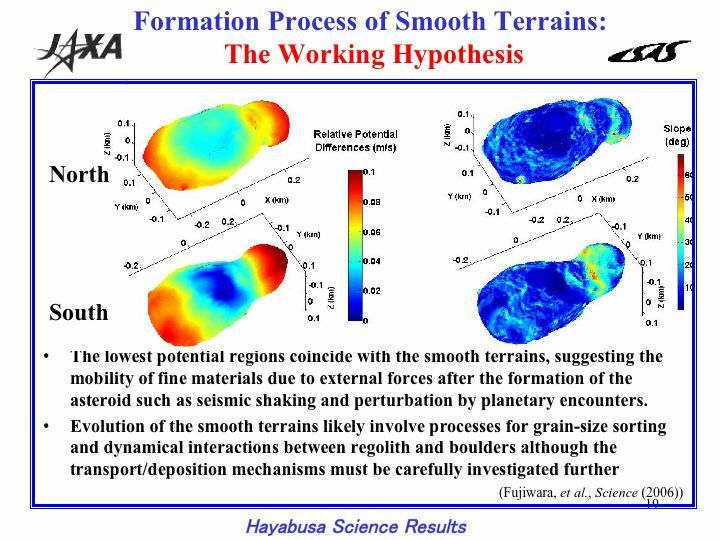 Hayabusa observed Itokawa form the altitude of 20 km to 3 km by using four observational instruments, and a lot of new results were obtained for the asteroid's shape, geographical features, surface altitude variation, albedo, spectrum, mineral composition, gravity, and the main chemical composition, etc. 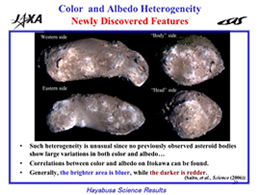 These results are totally new information to understand the formation process of asteroid. 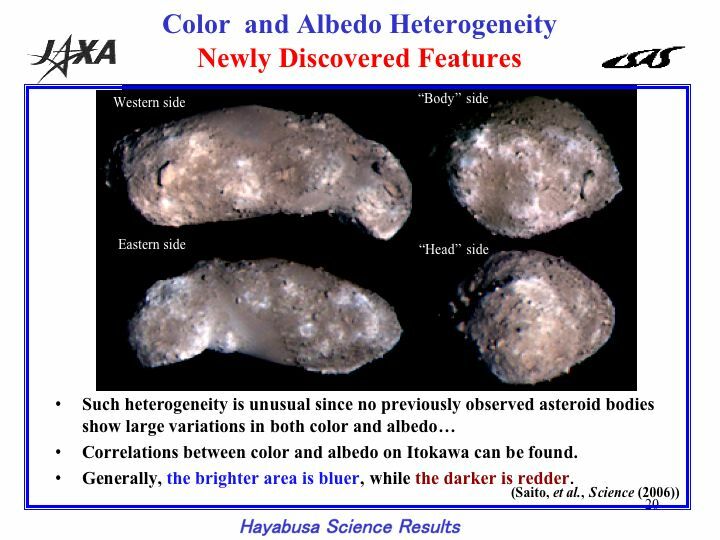 It will be the important standard for all the future mission to asteroids to have revealed the detail features of the asteroid, which is a most common type in the asteroid belt. 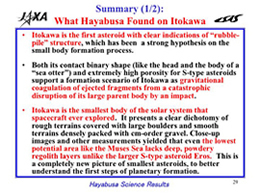 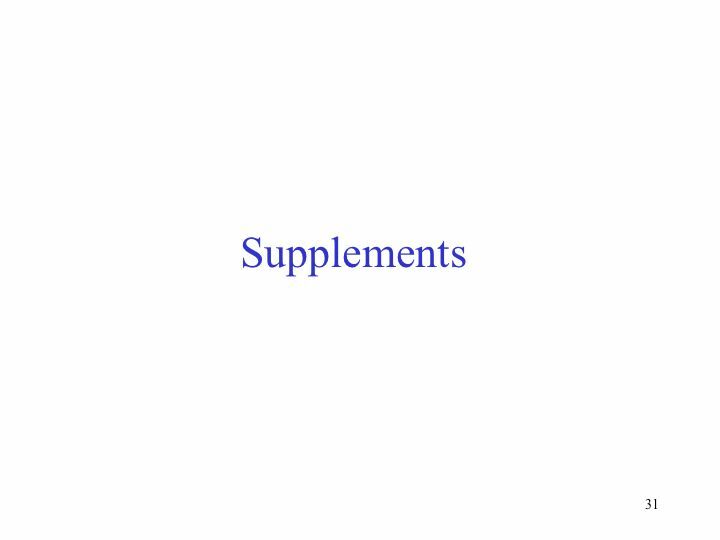 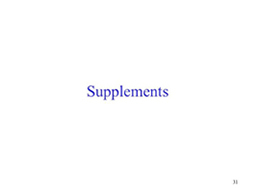 We introduce here the summaries of papers, which obtained excellent results of science. 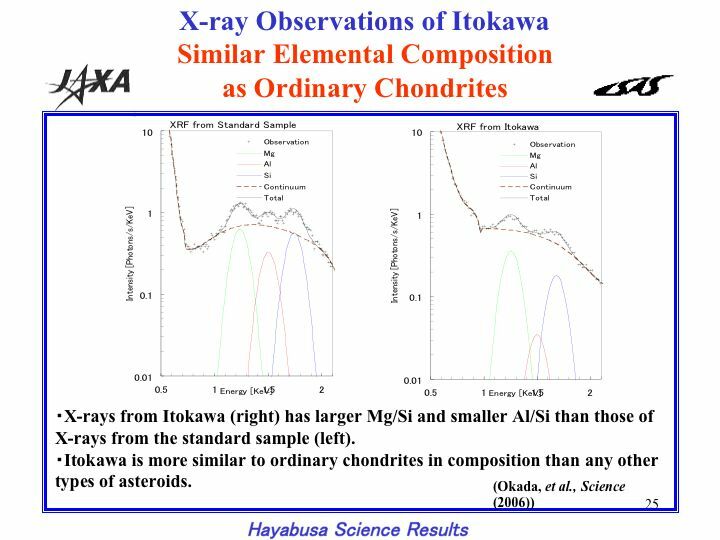 We also show the letter of reward and congratulation from Dr. D. Kennedy, who is the editor in chief of the journal Science.